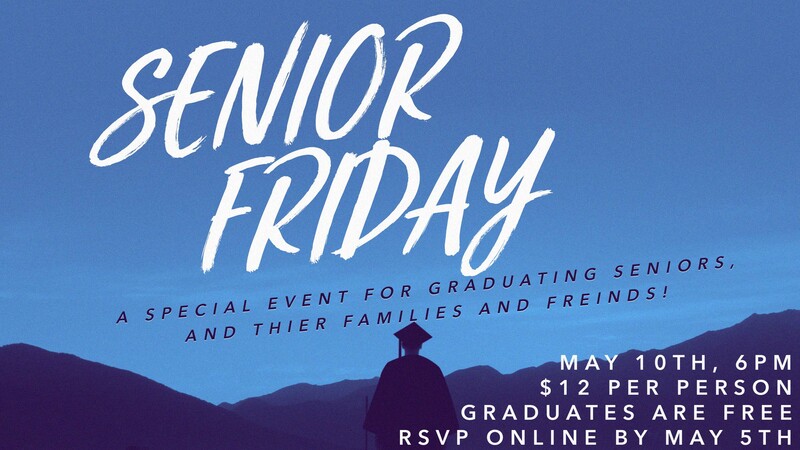 A special event for graduating seniors and their family and friends! Cost for the banquet is $12 per person. Graduating High School Senior is free. - In order to RSVP payment must be received prior to the 5th of May, payment will not be accepted at the door. Celebrate the growth, personality and achievements of your senior by decorating a table in their honor at Senior Friday. - Use pictures, trophies, jerseys or other personal items that will reflect their accomplishments and highlight some of their future goals.